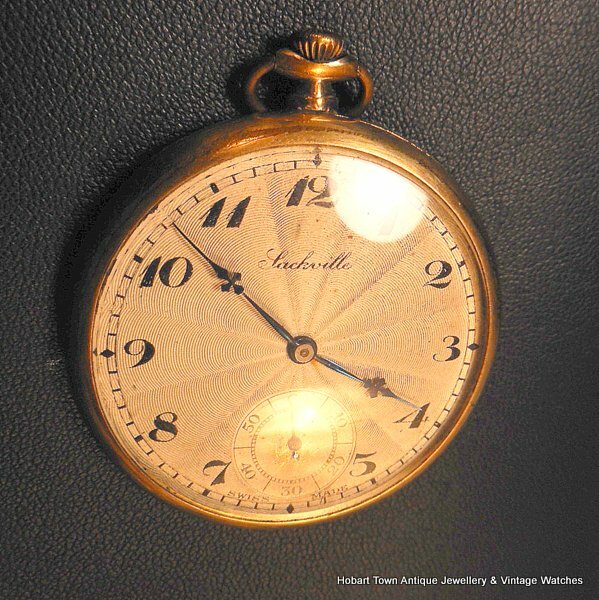 This Fine Antique Omega Sackville Guilloche Enamel Sunburst Dial Pocket Watch is a quality pocket watch and has an especially attractive dial. This Antique Omega Sackville Guilloche Enamel Sunburst Dial Pocket Watch is a quality antique PW. 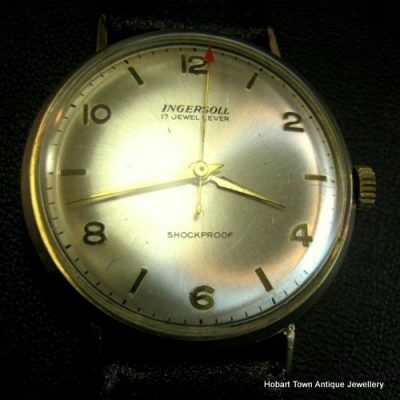 Registered under the Helvetia banner , with both Sackville and Helvetia being two of Omegas many dial names at this point in time. 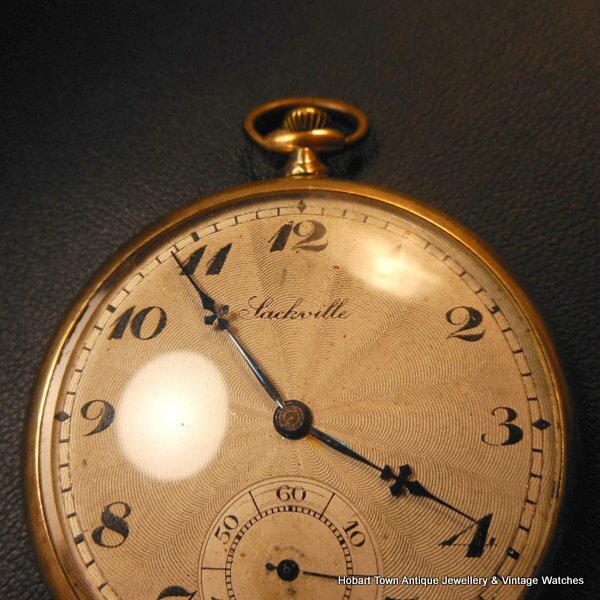 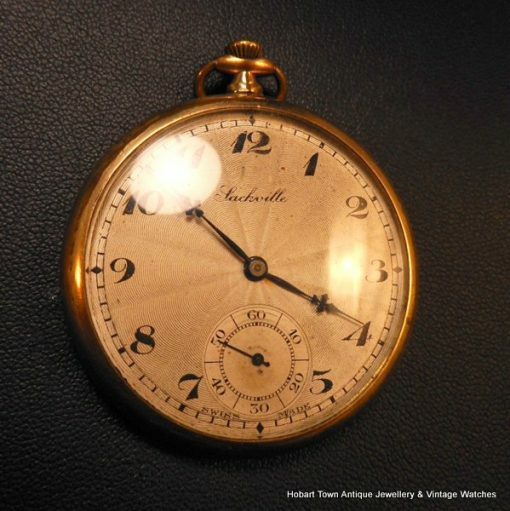 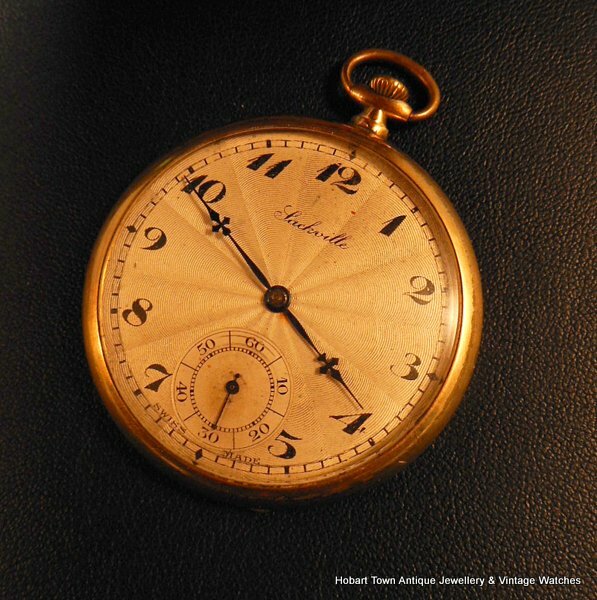 Dating to the late 19thC ~ very early 20thC and remaining in fantastic original condition , in all respects …….. from the dent free case , to the twice adjusted movement to the beautiful guilloche enamel sunburst dial ….. all in fine antique condition and all original. 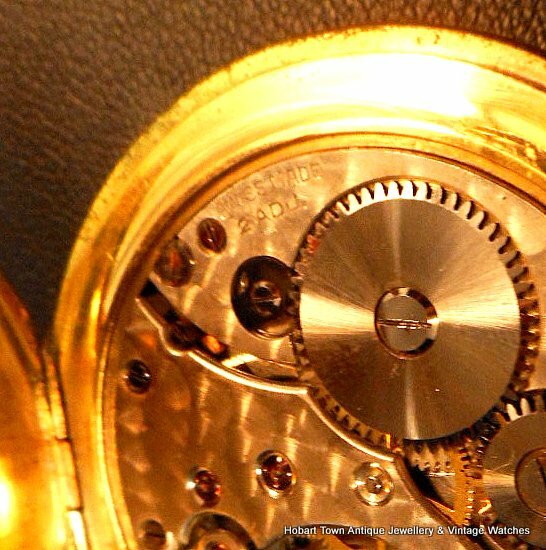 The movement is especially clean and has a beautiful Geneve finsih , usually only seen on quality movements. 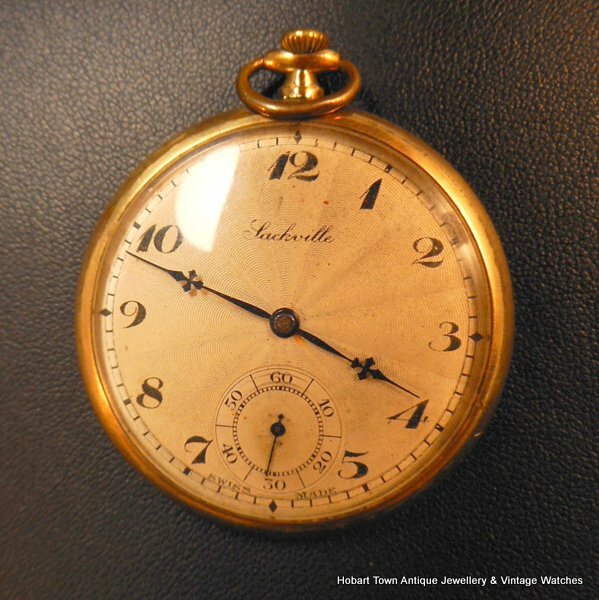 As mentioned above , it has had 2 adjustments and is a fine quality late 19th ~ early 20thC 15 jewel Swiss movement ….. “very similar to” an Omega movement of the same period! 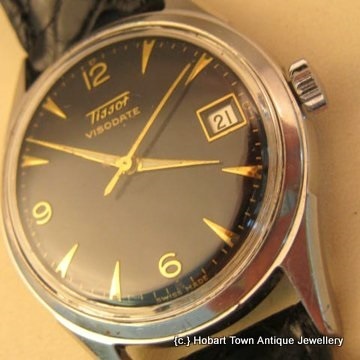 Running strong and keeping good vintage time and is sold with our complimentary warranty. An especially tactile and also thin case at approx; 7m case depth and approx; 47m case width. The Breguet Arabic numerals are slightly larger than many pocket watches of the same size dial and look especially good in contrast to the stunning ivory coloured guilloche enamel sunburst dial! 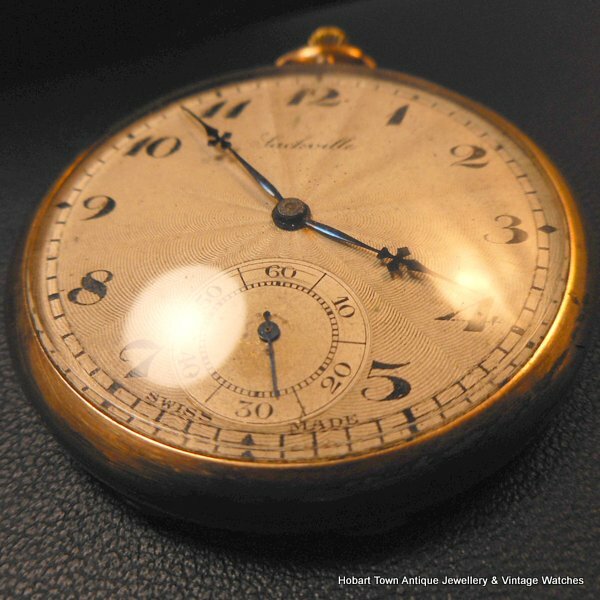 The original Breguet blue steel hands are retained and also add to the overall appearance of this truly handsome Antique Omega Sackville Guilloche Enamel Sunburst Dial Pocket Watch. 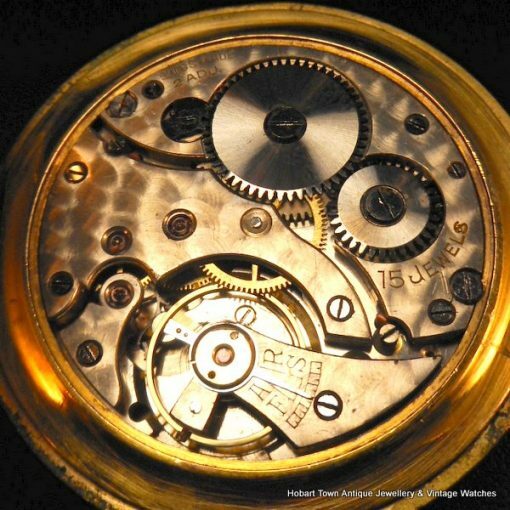 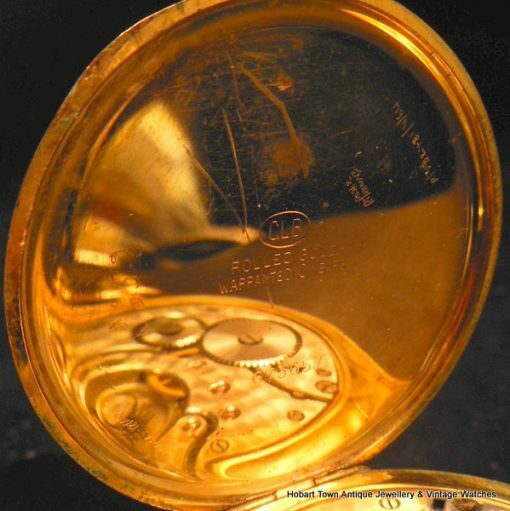 The gold filled case has not been polished or buffed an may present ‘better’ with a gentle cloth buff ~ yet that comes down to personal tastes and we are leaving the handsome watch as it is now. 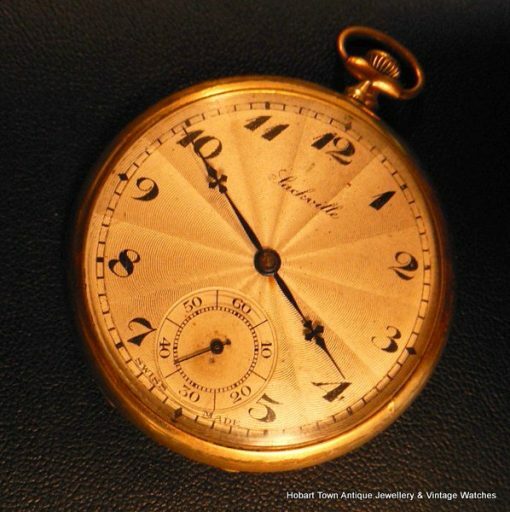 There is absolutely no reason why this fine Antique Omega Sackville Guilloche Enamel Sunburst Dial Pocket Watch cannot be used today , on a daily basis as your time keeper. 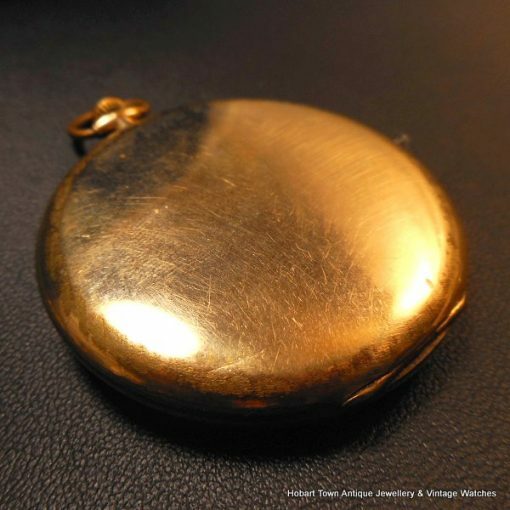 It does not require a three piece suit or waistcoat , it will be just as happy resting in the pocket of your Levi 501’s. 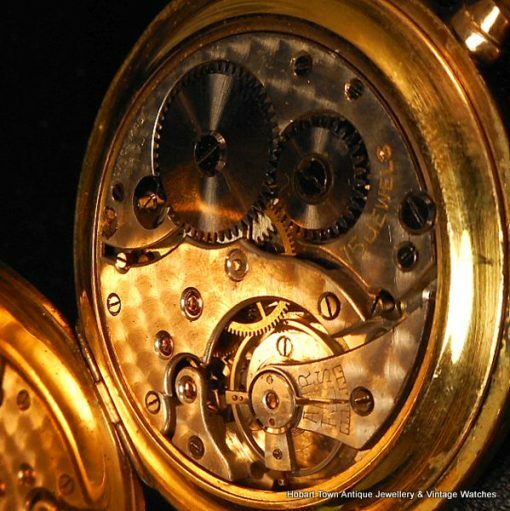 Perhaps with the coins in a separate pocket though. 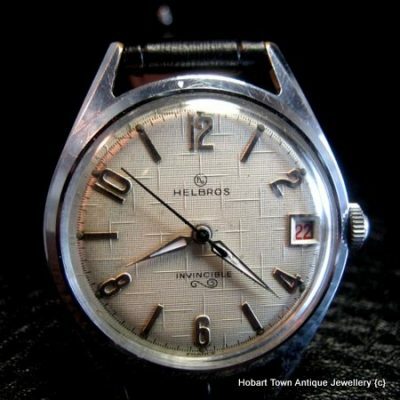 Another quality timepiece being sold at a genuinely good price by HOBART TOWN.